MARINA DEL REY — Los Angeles County officials are actively working on an independent research project that would challenge the state’s Regional Water Board’s Total Maximum Daily Load (TMDL) restrictions requiring the county to reduce copper in Marina del Rey by 85 percent within the next nine years. 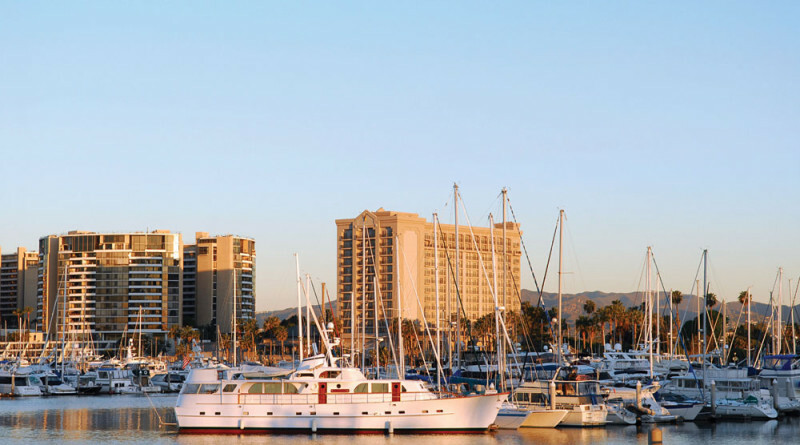 Los Angeles County must meet an 85 percent reduction in Marina del Rey by 2024, a target set by the Regional Water Board in September 2014; the TMDL target is still pending EPA approval. On Aug. 12, Michael Tripp, a planning specialist with DBH, told Small Craft Harbor Commissioners the county is testing non-copper alternatives on Sheriff’s patrol boats. The experiment has mixed results, Tripp said. Miyamoto added owners of boats with non-copper paints must clean their vessels more often than a copper-based equivalent. County officials hosted a hull paint workshop for Marina del Rey boaters in February to discuss copper alternatives. Miyamoto added DBH staff attended various working group meetings to discuss TMDL restrictions and copper alternatives. She added copper’s legality makes any regulation limiting the substance rather difficult. Miyamoto anticipates the county’s studies to be completed by 2017. Playa del Rey resident and Marina del Rey Boaters Coalition founder Jon Nahhas urged the Small Craft Harbor Commission to rely on best available science to address copper paint restrictions. “The science is out there. The research is out there and why Beaches and Harbors doesn’t have it doesn’t make sense. We effectively have the research and the science out there, we can do right by the environment,” Nahhas said, claiming the Navy regularly uses workable non-copper alternatives not yet available for consumer use. Simon Lindt, Windward Yacht Center’s general manager, said his company has been testing non-copper paints and working with DBH to reduce copper levels in Marina del Rey. The Department of Pesticide Regulation (DPR), he said, separates anti-fouling paints into three categories: low, medium and high leach rate paints. “The DPR believes a certain amount of copper is beneficial to killing the growth or retarding the growth [of marine life on boat bottoms],” Lindt said, adding Windward Yacht Center mostly offers low leach rate paints. “We’re trying to adjust our inventories … so we have just [low leach rate] paints that we’re putting into customer’s paints. That doesn’t mean it’s low-copper. They might have a high copper content, but the way it discharges into the water is a lot different [compared] to the traditional paints. Lindt told commissioners his company has a couple boats on the water using non-copper paints; one of those boats met with mixed results. “For the first six months, [the non-copper paint] worked well. After six months, they degraded fairly hard. What happens then is the diver has to try harder to clean them because they are not retarding the growth so much,” Lindt said. A second boat was coated with an antifouling paint from the Navy and participated in the recent Transpac race from Los Angeles to Honolulu. Lindt said he is preparing to haul the boat out of the water and test how well the antifouling paint performed. A TMDL copper restriction is also a concern in Orange County. The Recreational Boaters of California (RBOC) issued a “Call-to-Action” for Newport Beach boaters on Aug. 11. “Boaters are encouraged to take action to protect the use of copper-based anti-fouling paints on the hulls of their boats in Newport Bay,” the Call-to-Action stated. RBOC officials are urging Newport Beach boaters to petition the local and regional water boards and request a proposed TMDL plan for Newport Harbor be delayed until a site-specific study can be conducted, affordable and effective alternative antifouling paints become available and a model for accurately detecting copper toxicity in saltwater gains EPA approval. More information about the Call-to-Action is available on the RBOC website: bit.ly/1Neqb02.